Tottenham Hotspur striker Harry Kane is one of the best in the world but the 24-year-old can still improve further, manager Mauricio Pochettino said ahead of Saturday’s trip to Huddersfield Town in the Premier League. After a goalscoring drought in August, Kane has scored nine goals in five games in September, with a brace in each of Tottenham’s two away league victories and their Champions League opener against Borussia Dortmund. Kane notched his first hat-trick in the Champions League during Tuesday’s 3-0 victory over APOEL Nicosia and his exploits earned praise from Pochettino, who believes the England international can elevate his game further. 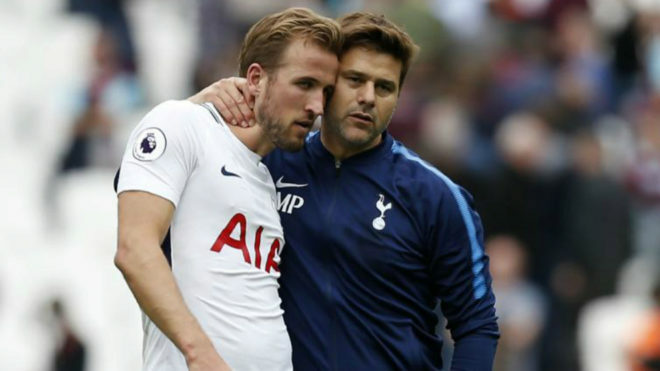 Pochettino also said that Kane should not be compared to Real Madrid forward Cristiano Ronaldo and Barcelona’s Lionel Messi as the England international was a completely different player. “I never said he is better than Cristiano and Lionel Messi, who are at a different level. They are the best and are showing that for the last five to 10 years,” he added. Tottenham playmaker Christian Eriksen, who missed Tuesday’s win over APOEL through illness, has returned to training while defender Serge Aurier will miss the match through suspension. Midfielders Mousa Dembele, Victor Wanyama and Erik Lamela along with left back Danny Rose are ruled out through injury. “A big challenge. I think they will be very motivated to play against us and have had the whole week to prepare for the game against Tottenham,” he said.